Everyone loves a keepsake of their special day and it's very hard to find the perfect unique gift. 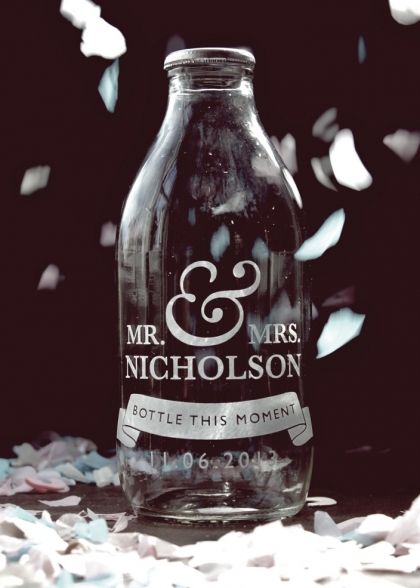 This hand-etched Personalised Wedding Gift Milk Bottle - Bottle This Moment is both. Already inscribed with Bottle This Moment, you should choose between Mr & Mrs, Mr & Mr or Mrs & Mrs and then personalise your Wedding Gift Milk Bottle with the happy couple's surname and wedding day date giving them an extra special gift to help them remember and celebrate the best day of their lives.